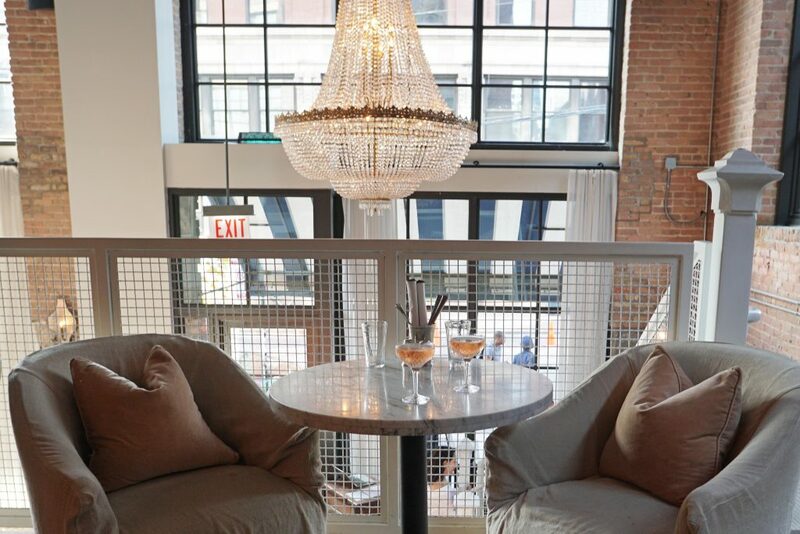 The Soho House contains one of the prettiest eateries in Chicago which, unlike the rest of the hotel and membership-only house, is open to the public. 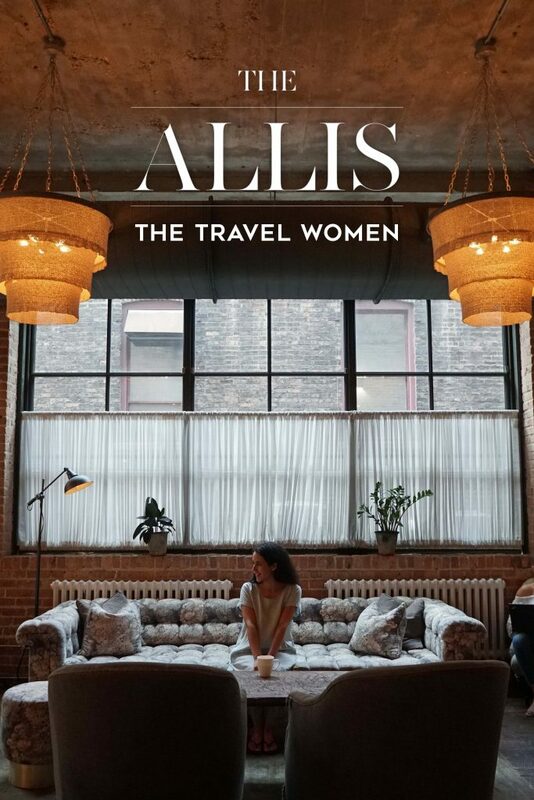 The Allis’ chic décor of velvet couches and marble tables transforms this 1907 warehouse into a cozy social space perfect for a date or meeting over afternoon tea. 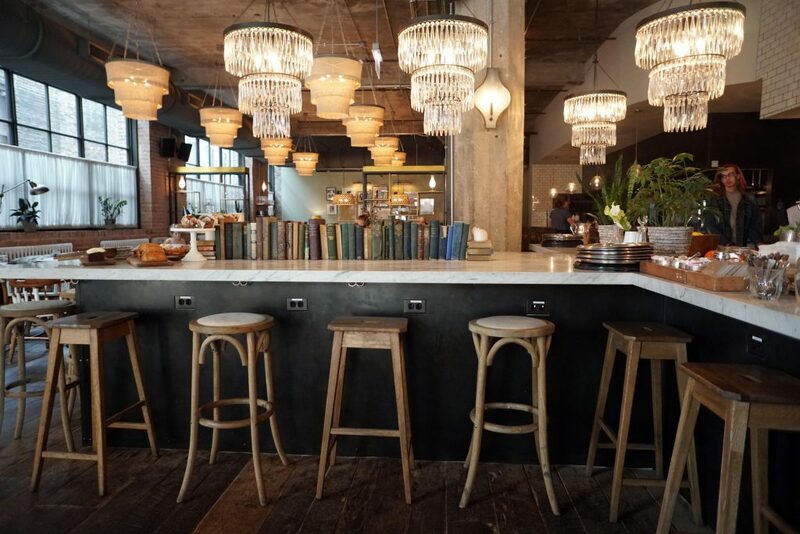 The concrete ceilings are lined with Parisian chandeliers. 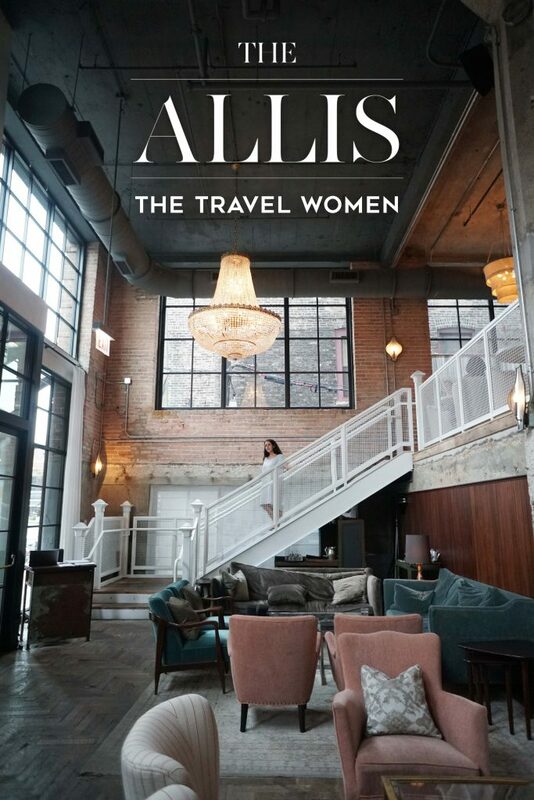 Located at 113 North Green Street in Chicago’s West Loop, The Allis is a must-visit locale. Almost everything is made in house, such as the marmalades and breads. 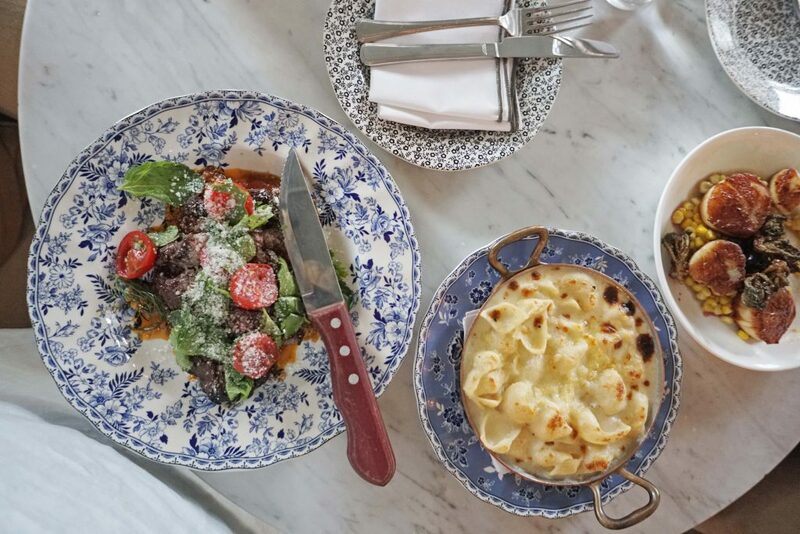 For dinner, you cannot go wrong with the steak or the macaroni and cheese. 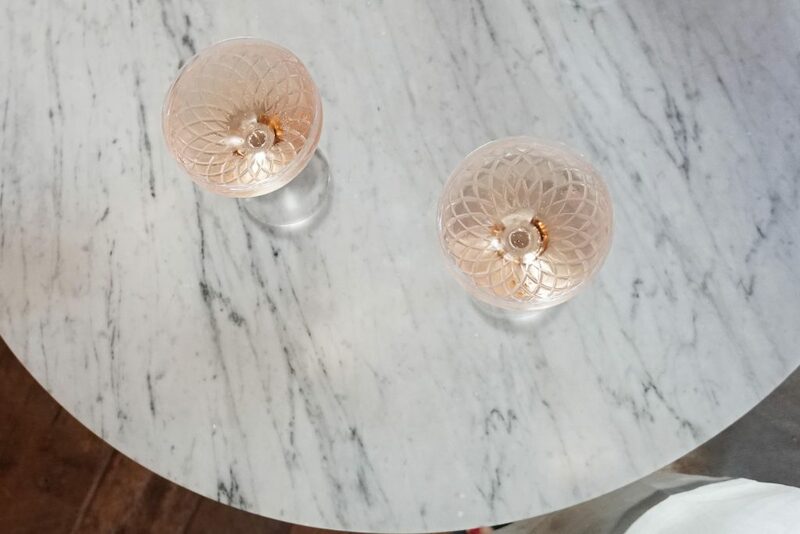 The rosé comes in a lovely etched glass that is a work of art by itself. 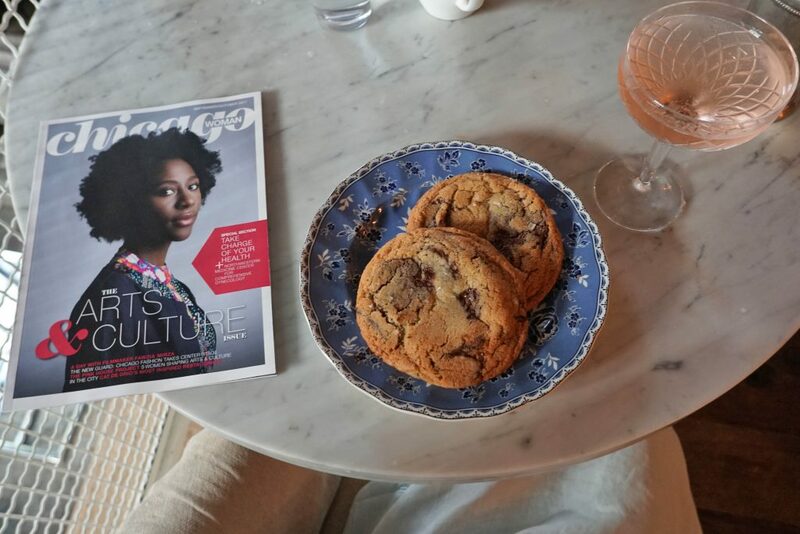 For dessert try the warm and gooey chocolate chip cookies with a touch of sea salt. 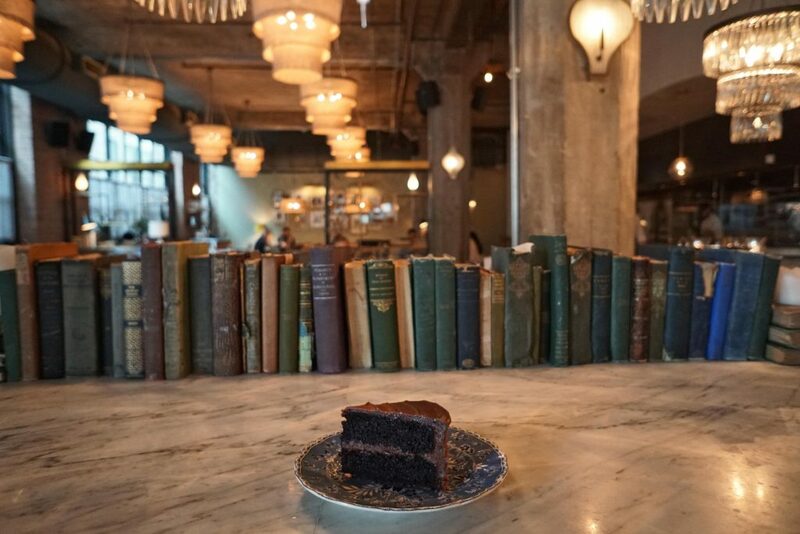 Tea time feels like a wonderland experience with a variety of loose leaf teas to choose from paired with a selection of “fancy cakes” and finger sandwiches. For tea and sandwich details, see the menu here. 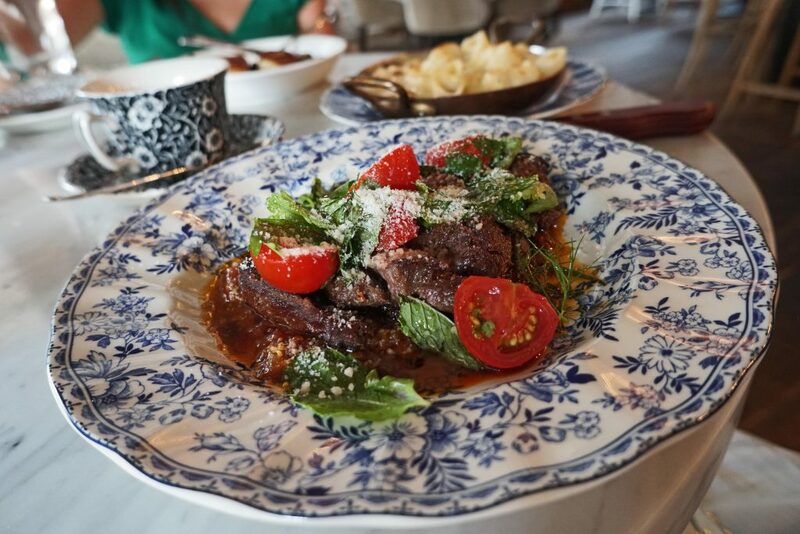 The different patterned porcelain plates make every dish presentation unique and with oversized windows the light pours in making The Allis the perfect backdrop for photos. 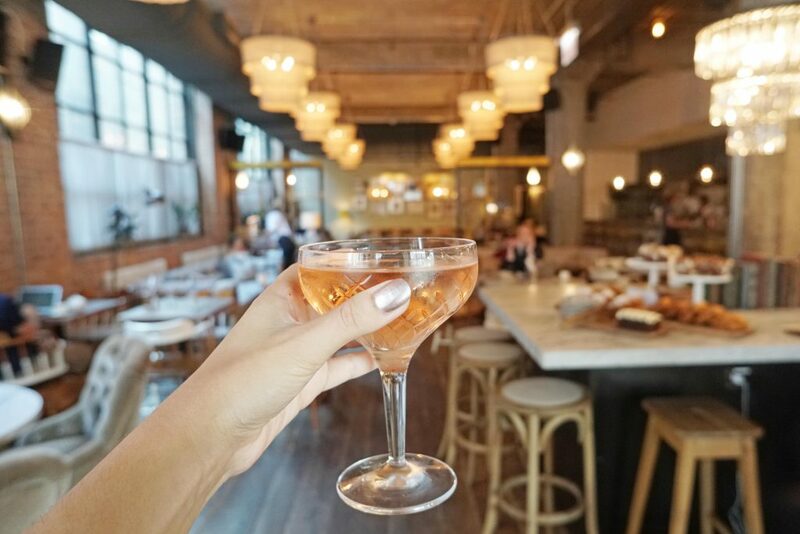 Even though you are technically not allowed to take photos in the exclusive Soho House, the staff was very friendly and we were able to capture the following shots! Visit their website for more details here. What a beautiful hotel. The photos are great. The article about the hotel was excellent. Great post.